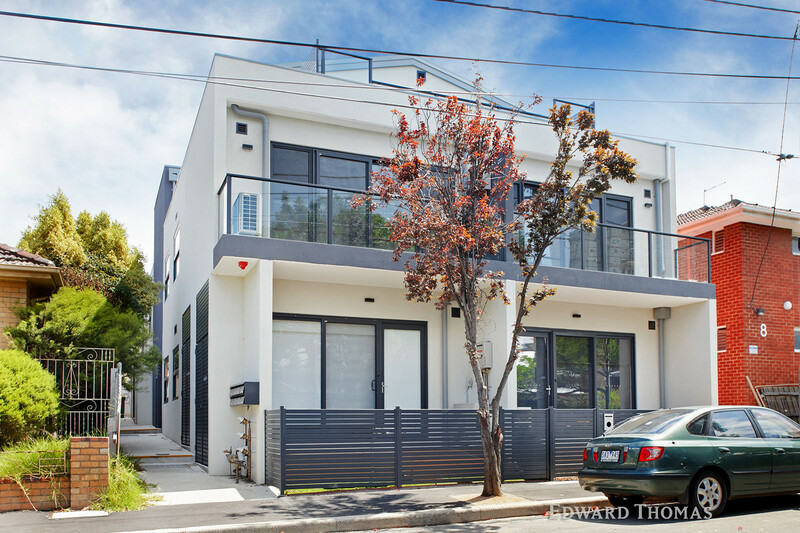 Situated less than 5kms from the CBD, 10 Nottingham St offers seven two-bedroom and two one-bedroom apartments on a discreet, tree-lined street. 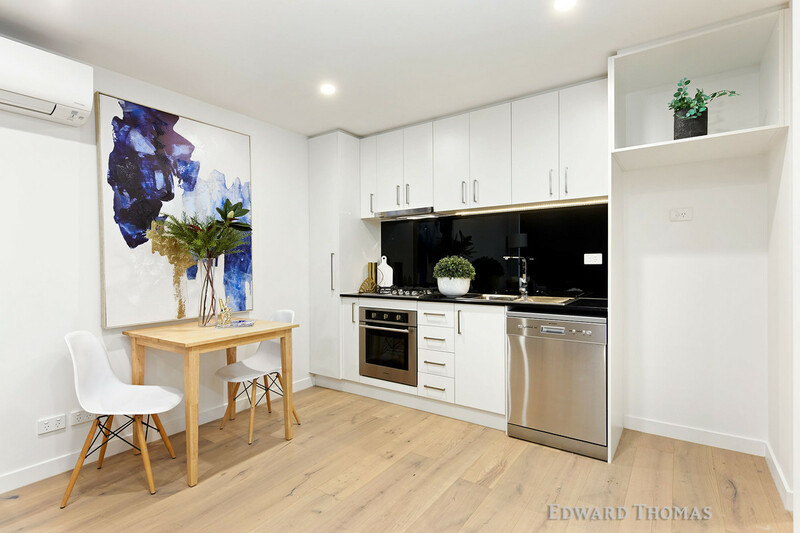 Located in the heart of bustling Kensington, these superbly appointed apartments are just a short walk away from trams, trains and buses, as well as hospitals and universities. Experience the sleek urban design of 10 Nottingham St, with generous balconies for entertaining and stunning city views, this boutique offering is strictly for the discerning buyer or investor. The roomy interiors of each apartment teem with natural light. 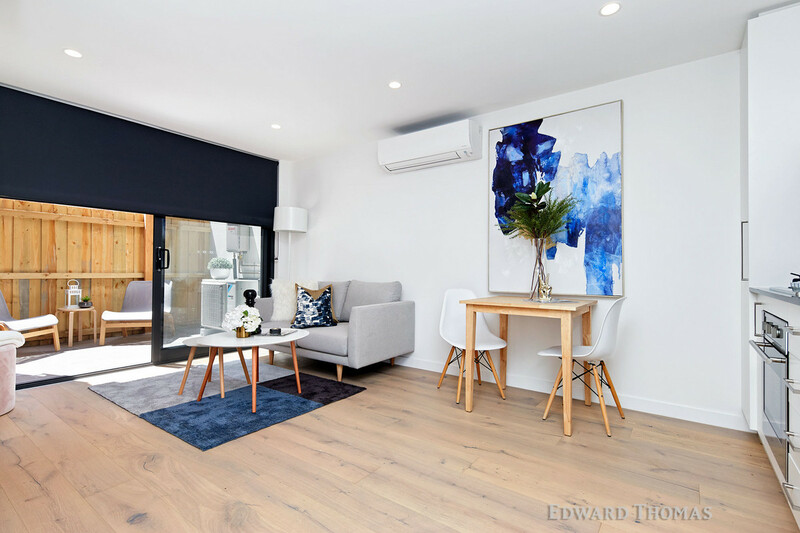 Quality timber flooring and carpet combine with a light interior colour palette to create an open, liveable space that’s both sophisticated and welcoming. Nottingham’s modern kitchens provide a culinary haven for those who love to create memorable meals for friends and family. Spacious and well proportioned, each kitchen includes a range of first class appliances and joinery. 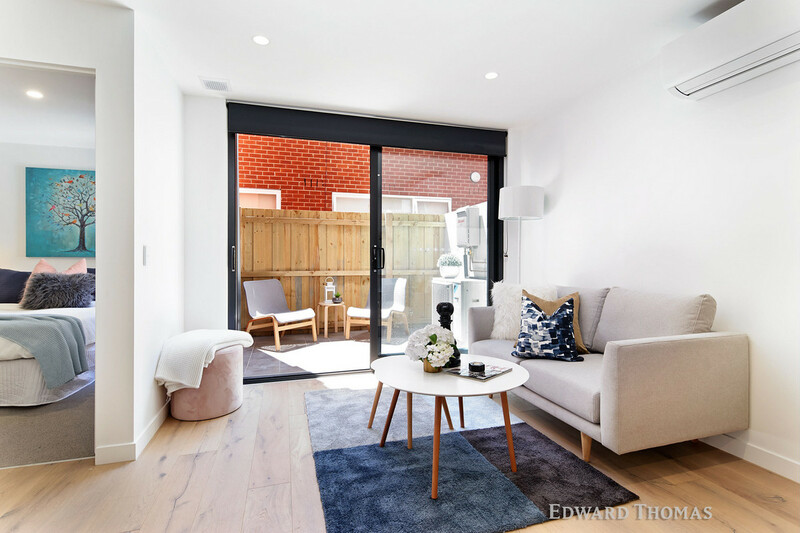 Nestled in quiet, leafy surrounds, 10 Nottingham St is the ideal place to retreat from the hustled and bustle of city life. 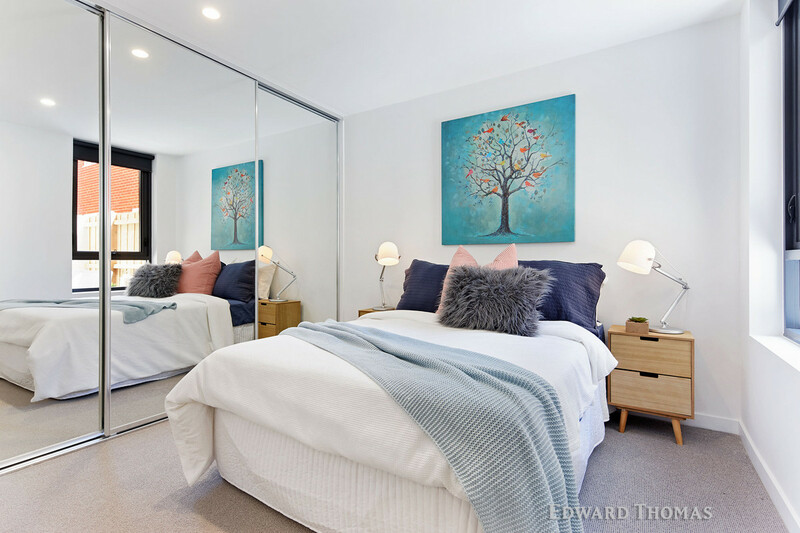 Generous room sizes and floor to ceiling windows create ideal bedroom retreats. The apartments are expertly appointed. 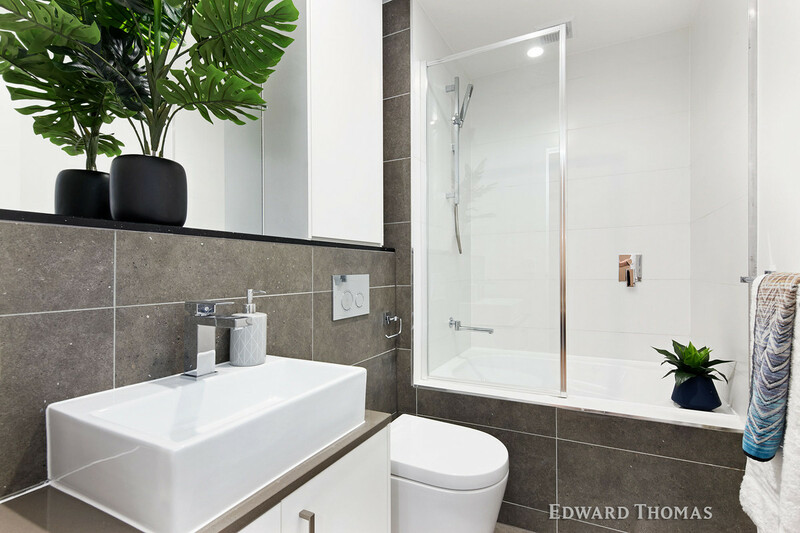 Each bathroom is designed to maximise space and storage and superior sanitary fittings and used throughout.